Do you use fact families in your teaching? 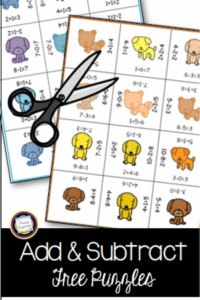 When your students use this tool to practice addition and subtraction, they’re using a strategy that makes good sense! Fact families, sometimes called related facts or number families, help our students actually see the relationships between numbers. Plus, recognizing and using them makes meaningful memorization happen faster! 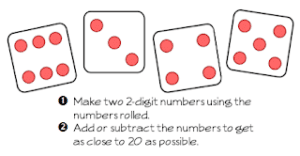 How can number families help you teach math? Repeated practice with related facts makes fact fluency grow! Working with number families is a great way to put the part-part-whole model into practice. When your students see the relationship between the addends and the sum, your teaching of missing addends and missing subtrahends so much easier for you – and more logical for your students! Begin by giving your students lots of time using concrete tools like linking cubes, stringing beads, lego towers, and rekenreks or the abacus as a way to see the relationship between the addends and the sum. Then it’s time to bridge the way to abstract by using representational tools like dice, dominoes, ten frames, and picture number bonds. When your students are very comfortable with the “how” of fact families, they’re ready to work at the abstract level. And that’s where a math center activity like this one comes in handy! These two easy-prep puzzles are a fun way for your students to practice finding related facts. Just print, snip, and they’re ready! To get your copies from Primary Inspiration, just click here! 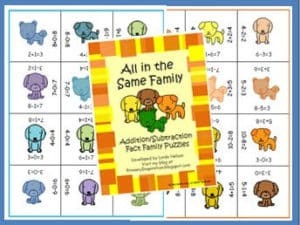 To make them self-checking, print a copy of the puzzle and don’t cut it apart. Find ideas here for using cuisenaire rods to practice related facts!